Sally A. 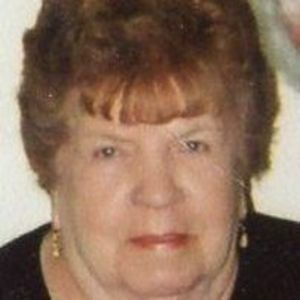 (Hanifan) Jackson, 86 of Rockland, Died on March 25, 2019 at South Shore Hospital in Weymouth. She was born on November 1, 1932 in Weymouth to the late Timothy and Mary (Welsh) Hanifan. Sally was raised and educated in Weymouth and was a graduate of Weymouth High School and a member of the class of 1949. She was the loving wife of the late Daniel D. Jackson. Sally worked for fifteen years for Rockland Public Schools in the Cafeteria. She enjoyed listening to and performing music with her husband. Sally loved playing board games, cards and spending time with her family. Sally loved to have fun and you could always count on her for a good laugh. Mrs. Jackson was the loving mother of Patricia (Jackson) and her husband James Benton of Carver, Wayne Jackson and his wife Susan of Rockland, James Jackson of FL and the late Daniel P. Jackson and the late Richard Jackson. She leaves behind six grandchildren and twelve great grandchildren. She will be dearly missed by her many nieces, nephews, friends and loved ones. 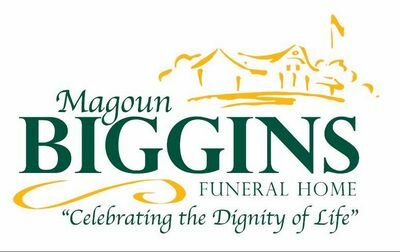 The family welcomes friends and loved ones to celebrate her life on Monday April 1, 2019 from 4:00 PM to 7:00 PM at the Magoun-Biggins Funeral Home, 135 Union Street Rockland, MA. Funeral Services will be held privately at a later date. In lieu of flowers, donations can be made to Alzheimer's Foundation. Please visit https://www.alz.org/manh to make a donation in Sally's name. Add your thoughts, prayers or a condolence to Sally's guestbook.